Is That Glass of Fruit Juice Really Healthy for You And Your Family? At the moment a 150ml glass of fruit juice can be counted towards your five a day but just recently the British Dental Health Foundation has advised that fruit juices are detrimental to dental health. It’s been discovered that many fruit juices aimed at children have at least 6 teaspoons of sugar and often come in cartons larger than the recommended portion size. In addition, many people are opting to drink fruit smoothies as they are marketed as being healthy due to the considerable fruit content. Unfortunately these also contain very high levels of sugar, as well as acid from the fruit and can do considerable damage to teeth. Even though fruit juices can be a good way to consume more fruit, the high levels of acid and sugar often mean they can be bad for your dental health, particularly if you like to sip them over a long period of time. Smoothies tend to be a lot thicker and are prone to sticking to the teeth which enables sugar to come into contact with teeth for longer periods of time. Every time you have a fruit smoothie your teeth will be softened by acid in your mouth for up to an hour afterwards. As a result, the British Dental Health Foundation is supporting Action on Sugar’s recommendations to remove fruit juice from the current guidelines for getting plenty of fruit and vegetables every day. They feel recommending fruit juice sends the wrong message to parents and could ultimately result in higher levels of childhood tooth decay. Parents often provide children with fruit juice in between meals in the belief that they are giving them something that is relatively healthy. However if you do want to give your child a fruit juice or enjoy one yourself then it is best to do so as part of a meal. In general it is better to stick to giving children water or milk to drink, and to encourage them to eat the whole fruit rather than just the juice. If you or another family member dolike to drink a lot of fruit juice and have not been to a dentist in a while then now might be a great time to book that check-up. Dr Zaki Bashir can assess the condition of your teeth and gums and will carefully check each tooth for any early signs of cavities. This is a visual examination, although he may gently probe the surface of each tooth to check for any softness in your tooth enamel. Sometimes it is possible to reverse the early effects of acid erosion with fluoride treatments, but if a cavity has already begun to develop then it is much easier and cheaper to get it filled as soon as possible. It’s quite likely your Bromley dentist will recommend white fillings to mend any cavities as these are strong, and once in place are nearly invisible. As well as being cheaper to fill, early treatment reduces the possibility of more extensive tooth infections that can be pretty uncomfortable and which may require more extensive treatment such as root canal therapy to put right. This entry was posted in General Dentistry on 15th December, 2014 by Bromley Dental Practice. What is the Difference Between White Fillings and Inlays and Onlays? If you have any signs of tooth decay then Dr Zaki Bashir is likely to recommend a filling, but there are several different types that can be used. This can seem confusing, as each is designed to have a slightly different purpose. White fillings are made from a composite resin material that closely resembles your natural teeth. The material comes in many different shades, and even in different translucencies so once the filling is placed it should be virtually invisible. White fillings are commonly used to repair cavities in front teeth and to fill small to medium sized areas of decay in your back teeth. This material is pretty strong, but is not so suitable for filing larger areas of decay in back teeth as these are subjected to heavy chewing forces. In this case Dr Bashir is likely to recommend a different type of filling which is stronger. Once this is in place it will help restore strength to the tooth so you will be able to chew normally. These larger filings are called inlays and onlays. An inlay replaces the central chewing surface of a back tooth, but an onlay will replace a larger area which includes the central chewing area plus one or more of the cusps. Tooth cusps are the raised points you can see on the edges closest to your cheeks and tongue. Inlays and onlays can be made from gold or porcelain. In the past you might have been advised to have gold inlays or onlays as this material is very strong and hardwearing, but today’s modern porcelain can easily withstand the forces created during chewing and of course they look beautiful and are just about invisible. White composite filings can be placed in a single appointment to Bromley Dental Practice, but inlays and onlays are slightly different. If they are made from gold then they will require at least two appointments to prepare the tooth and then to fit the restoration. This is because they have to be made in a dental laboratory. Porcelain inlays and onlays often have to be made in a laboratory, but we are able to fabricate them onsite with our CEREC machine. This is a milling machine that cuts the restoration out from a single block of coloured porcelain. Dr Bashir will prepare your tooth before scanning it with a very small camera so there is no need to have any impressions. This information is fed into a computer and is used to create a design that is then sent to the milling machine. The porcelain block is preselected in a shade that closely matches your natural teeth, and is milled according to this design. Once it is completed it will be hand finished and polished before being fitted and cemented in your mouth. All this can be carried out in a relatively short space of time, while you wait in our comfortable surgery. You will be able to leave with your new inlay or onlay in place which is much better than having a temporary filing, and of course saves you from making another trip to our surgery. This entry was posted in General Dentistry on 1st December, 2014 by Bromley Dental Practice. Most people think that sweet treats are the only threat to their oral health. What they fail to realise is that some of the food they serve on their table can be just as harmful to the teeth as sweets. There is a saying that an apple a day keeps the doctor away, but does this apply to your dentist? Apparently not. 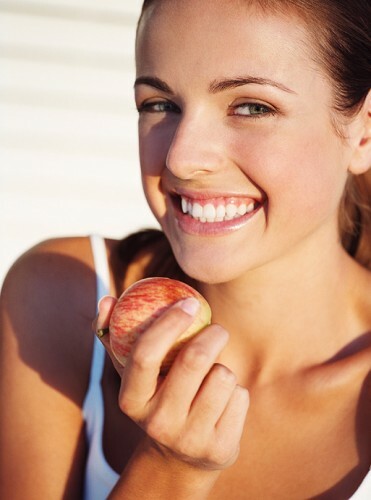 According to studies, apples are among the biggest culprits when it comes to cracked teeth. These are also high in acid, which may damage the enamel and cause the teeth to stain. Eating crunchy apples is fine, but make sure to cut them into bite-size pieces to avoid biting too hard. Rinse your mouth with water after eating to wash away the acid. Chomping down on the cob can cause problems for your teeth. Your dental appliances may become loose or may crack, warranting a visit to your dentist for a quick fix. You do not have to avoid corn and miss its nutrients, though. Instead of serving the entire cob, scrape off the corn bits for easier consumption. If you are a fan of wines, you may want to rethink your drinking habits. Both white and red wine may cause a series of oral problems that can ruin a good smile. Red wine is often associated as a cause of discolouration, while white wine leaves the enamel vulnerable to acid. No one is going to stop you from enjoying a glass or two of your favourite chardonnay or merlot; just do not drink too frequently. We love to keep our breath fresh and smelling good throughout the day; what most of us do is pop a mint or two. Sucking on these mint delights is like bathing your teeth in sugar. Some breath mints contain sweet ingredients that may actually do more harm than good to the teeth. Instead of popping these mints into your mouth, use xylitol to combat bad breath and bacteria. It is important to be vigilant when it comes to the food you are eating or serving your family. If you want to learn more about how diet affects your oral health, Bromley Dental Practice can serve as your guide. Dr. Zaki Bashir will be more than glad to discuss the types of food that help preserve the health and beauty of your teeth. This entry was posted in General Dentistry on 6th November, 2014 by Bromley Dental Practice. 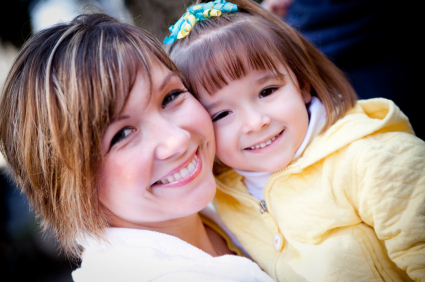 Everyone knows that oral care is important, and that a good oral health regimen goes way beyond brushing and flossing. Gum disease may affect, infect, and ultimately destroy your teeth. It mayalso make you more prone to heart disease. This alone should highlight the importance of proper dental care. Fortunately, you don’t need to panic and run to our dental clinic…yet. Do know that simple, everyday food items have powerful purification properties that may keep your teeth and gums healthy. With that, here’s a list of some super foods that will keep your pearly whites beautiful and your gums safe. Tea has been known to have numerous health and healing benefits. Green tea, in particular, contains catechins—compounds that may fight inflammation and control bacterial infections. Several studies have linked green tea catechins to weight loss and fewer occurrences of periodontal diseases. Now, we’re not advising you to head over to the nearest steak house and gobble down a T-bone or a filet mignon; after all, too much cholesterol and animal fat are bad for your heart and overall health. But lean beef, as well as oysters and lamb are rich in zinc—an anti-inflammatory mineral that has antioxidant and immunity-boosting powers. Vitamin B6, which is found in beef and seafood, also helps fight gum disease. Nuts and seeds are packed with numerous teeth-friendly micronutrients including phosphorus, potassium, magnesium, zinc, and more importantly, calcium. Calcium—the essential nutrient in teeth and bone strength—helps in re-mineralising the teeth. Also, individuals with zinc deficiencies are at higher risk of developing gum disease as the mineral helps fight the bacteria that causes the disease. Almonds, Brazil nuts, and sesame seeds are some types that have high calcium content. Vitamin C is important to your overall health. When it comes to your oral health, this vitamin helps collagen from breaking down. Without collagen, your gums may become extra tender and, therefore, susceptible to infections and gum disease. Kiwis and strawberries have some of the highest concentration of Vitamin C, but citrus fruits are also suitable. Just be careful as too much citric acid may affect tooth enamel. Can’t stand raw onion? So do the germs in your mouth. Especially when eaten raw, onions are great for fighting the microorganisms in your mouth thanks to its antimicrobial sulphur-containing compounds. You can have your daily dose of onions via a sandwich or a salad. If you really can’t handle it raw, you can have it cooked—it’s better than no onion at all. These super foods are great for keeping your mouth healthy. They can only go so far, however. You still need to visit your dentist regularly, especially when your condition isn’t improving. Get in touch with us now and find out what we can do for you. This entry was posted in General Dentistry on 14th August, 2014 by Bromley Dental Practice. Did you know you’re General Health and Dental Health is closely connected? Many people are unaware of the relationship, but in fact the condition of your mouth can have a considerable effect on your overall health. It can pay to try to understand how and why both are closely connected as this can help you protect your oral and general health. Your mouth contains many different types of bacteria and most are harmless. Normal daily activities such as brushing and flossing help keep the numbers of bacteria under control, but a lack of proper oral hygiene increases the risk of infections such as gum disease and tooth decay. Taking certain prescription and over-the-counter medications can also increase these risks as many can reduce the amount of saliva produced. Saliva is immensely important for keeping your mouth clean as it helps wash away old skin cells, bacteria and old pieces of food, preventing bacterial overgrowth that could cause disease. One of the main risks of poor oral hygiene is developing a condition called periodontitis or gum disease. This is an inflammatory disease and it’s suspected this inflammation could affect other general health conditions. In addition certain diseases that affect the immune system, in particular diabetes and HIV AIDS can lower the body’s resistance to infection, and this can make any oral health problems more difficult to control. The inflammation caused by periodontitis has been linked to heart disease, diabetes, Alzheimer’s disease, HIV AIDS and other conditions such as Sjögren’s syndrome and osteoporosis. There have been lots of studies carried out into this link and it is thought to be due to the way inflammation causing bacteria from the mouth can get into the bloodstream through bleeding gums that are characteristic of advanced gum disease. From there these bacteria can travel around the entire body, potentially causing new sites of inflammation. This can be particularly problematic for diabetics as poorly controlled blood sugar levels lead to excessive glucose in saliva which in turn feeds the inflammation causing bacteria, increasing the risk of gum disease and bleeding gums. Once the bacteria get into the bloodstream then diabetics can have increased difficulty in controlling blood sugar levels. So what can you do to protect yourself? The answer is quite a lot, even if you have existing medical problems. The main thing to do is to get your mouth as healthy as possible and to have a good preventative dental care regime. This is where Bromley Dental Practice can help. Most people will need to visit Dr Zaki Bashir twice a year for regular check-ups and professional cleanings, but some people with existing medical conditions such as diabetes may benefit from more regular visits. It’s important to make sure your dentist in Bromley is aware of any medications you might be taking and any changes to your overall health. This is because they can work with you, and with your GP if necessary to help keep your mouth healthy, and to hopefully protect your general health. In between dental visits make sure you brush your teeth at least twice a day and floss once a day. Change your toothbrush regularly, every two or three months or sooner if the bristles begin to look frayed. If you do notice any changes to your oral health in between appointments, contact your Bromley dentist for more advice. This entry was posted in General Dentistry on 28th July, 2014 by Bromley Dental Practice. 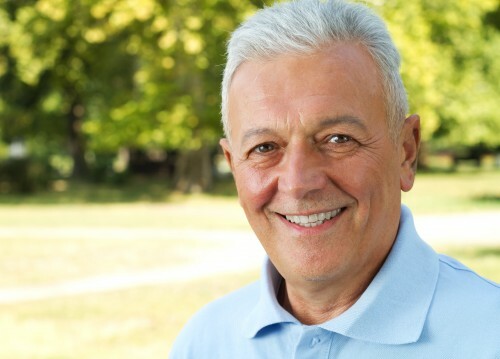 Did You Know Your Bromley Dentist Offers Mouth Cancer Screenings? Not very many patients are aware of this fact, or even know very much about this disease. Mouth cancer can affect any part of the inside of the mouth, including the tongue, throat and lips. In 2010, 6,539 people were diagnosed with oral cancer in the UK. It’s estimated that over the next 10 years approximately 60,000 people will be diagnosed with this disease, and unless it’s detected early on around half will die. It’s not a very well-known condition; one of the main problems with mouth cancer is that it creates very few symptoms while in the early stages. Subsequently it is often diagnosed extremely late in the day when it’s much more difficult to treat. Your dentist Bromley is likely to be the only medical professional who regularly has the opportunity to examine the inside of your mouth, and who is fully qualified to screen you for mouth cancer. Your screening is carried out by Dr Zaki Bashir as part of your normal checkup. It’s completely painless and isn’t at all uncomfortable. During the examination Dr Bashir will be looking for any changes to the colour of the tissues inside your mouth, as well as any signs of lumps or thickened areas, or areas that feel rough to the touch. He will gently but thoroughly examine all the tissues inside your mouth, including underneath your tongue. It’s highly unlikely that he’ll find anything, but if he does then it’s a simple matter of taking a sample of a few skin cells so they can be analysed for signs of anything suspicious. Most times it’s likely any changes to the oral tissues will be due to something else completely, but it is better to know for sure. In between dental visits, it’s worth keeping an eye out for any signs that something might be wrong, and all this means is carrying out a quick self-check every month or so. This will help you become accustomed to the way healthy tissue should feel and look so that if anything does develop you’ll be far more aware that it isn’t quite right. Signs to look out for include any changes to the oral tissues, such as red or white spots, or any areas that feel particularly thick to touch or which are rough. You should also be aware of any changes to the way your teeth bite together, or differences that affect the way dental appliances such as dentures or braces fit in your mouth. One of the first symptoms of mouth cancer is having an ulcer that doesn’t seem to heal up properly. Most ulcers should disappear by themselves within a couple of weeks. If yours seems to be hanging around for longer then it’s worth contacting Bromley Dental Practice for further advice. People who are more at risk of developing oral cancer includes those who smoke or use alcohol to excess, or who have been exposed to the human papilloma virus. However it can affect anyone at any age so it’s important to be vigilant. This entry was posted in General Dentistry on 30th June, 2014 by Bromley Dental Practice. Some people are fearful about having root canal therapy as for some reason this particular treatment has wholly undeserved reputation for being unpleasant. Those who have actually had it are often pleasantly surprised to find it’s similar to having a filling and really isn’t anything to be concerned about. In fact it’s a great way of preserving teeth that are badly infected, and before this technique was developed dentist in Bromley would’ve had no other option but to pull the tooth. Tooth extraction is something that Bromley Dental Practice works hard to try to avoid; it’s always best to preserve natural teeth for as long as possible as they are perfectly designed for the job in hand. Root canal treatment is necessary if the central part of the tooth called the pulp has become infected. The pulp is a collection of nerves and blood vessels, and any type of injury to it can be very painful. This can happen if bacteria in the mouth have eaten away at the tooth causing a large cavity that extends far into the tooth. When the pulp has become infected with bacteria it will die and cannot be saved. The only option is to remove the diseased tissue and to thoroughly clean out the pulp chamber, as well as all the root canals that are connected to the pulp and which extend right down into the tooth roots. The pulp can also become damaged if the tooth has been injured or knocked. Sometimes the pulp will begin to die straightaway while other times the process can take years to occur. Treatment to remove a damaged pulp is skilled, as it’s important that all the root canals are thoroughly cleaned out. It’s carried out under local anaesthetic and the time required for the appointment can depend on the number of root canals in the tooth. Once the pulp is removed the tooth is non-vital, but can still function perfectly normally once it’s fully restored. Will My Tooth Look Normal Afterwards? Restoration of a retreated tooth normally means the tooth will need to be crowned. This helps protect the tooth and provides additional support and structure, something that might be especially important if the tooth was very badly decayed. Afterwards the tooth can be treated in exactly the same way as natural teeth, and it should last for a very long time. Regular professional dental care is important so make sure you keep up with your check-ups with Dr Zaki Bashir, as well as having regular hygiene appointments to keep the restored tooth clean and free from tartar build-ups. Once the tooth is infected there’s no avoiding this treatment, but preventative dental care can lessen the need for root canal treatment in the first place through ensuring any signs of dental decay are treated quickly before the pulp becomes infected. This entry was posted in General Dentistry and tagged Dentist Bromley, Root Canal on 24th February, 2014 by Bromley Dental Practice.